The scion of the late Igbo leader, Chukwuemeka Odumegwu Ojukwu, Emeka Ojukwu Jnr has defected from his father's party the All Progressives Grand Alliance (APGA) to the All Progressives Congress (APC). 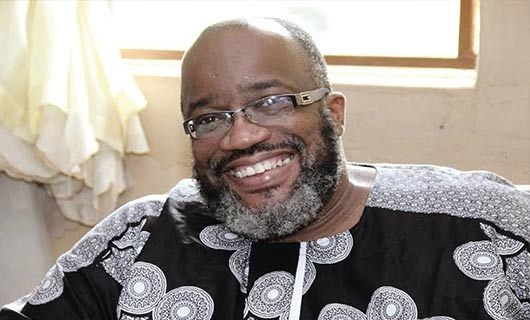 The saying that there are no permanent friends in politics could best describe the defection of the first son of the late Igbo leader, Chukwuemeka Odumegwu Ojukwu, Emeka Ojukwu Jnr from his father's party the All Progressives Grand Alliance (APGA) to All Progressives Congress (APC). The defection took place the same day Awka, the Anambra State capital was shut down for over six hours, as a result of the visit of President Muhammadu Buhari, who was in the state to drum support for the candidate of the All Progressives Congress, APC, Dr Tony Nwoye, in Saturday’s governorship poll. The younger Ojukwu told President Buhari that his actions were to ensure that Igboland was moved into mainstream national politics. He berated APGA for always dragging his late father out at every election, when in the true sense of it, he was sure his father would have loved to play in mainstream politics if he were alive. Chief Victor Oye, national chairman of APGA who reacted to the defection said his defection had no force. He described Ojukwu Jnr. as a prodigal son. The president, while addressing party faithful called on the people of Anambra State to massively vote Dr. Tony Nwoye, the governorship candidate of the All Progressives Congress (APC) on. He said Anambra stands to benefit much by voting for the APC.